After years of hard work and countless volunteer hours, a new Museum Archive & Research System is available to De Pere Historical Society members at White Pillars Museum during normal business hours or by appointment.. (Sorry, no online access). Newspapers - This unique newspaper database features scanned images of most De Pere newspapers from the early-1880s through the year 2000. It sports a "Search Engine" search engine that can find a particular name or phrase in under a minute. This database contains newspaper issues from the De Pere News, Brown County Democrat, De Pere Journal-Democrat, Twin City Index, and more. Ledgers - Over 150,000 pages from 125 ledgers from business and civic organizations have been scanned and hand indexed into the Ledgers database. This database offers a quick search feature that sails through the data and returns a list of all the ledgers that pertain to your search criteria. If the name you are looking for is found, you may find out what store grandma shopped at or when grandpa joined the band. Holy Cards – Also known as prayer cards, funeral cards, or mass cards, this searchable database features a scanned image of cards in the De Pere Historical Society's collection or images of cards donated by members of the community for use at the Museum. Photographs – This indexed database contains the scanned images of the De Pere Historical Society's 15,000+ photograph collection and is great for finding out if the museum has a picture of your great-aunt Tilde, grandpa's class photo, or what your home looked like fifty years ago. The Museum Archive & Research System is unique to White Pillars Museum and De Pere Historical Society members. It is not available over the Internet. The system is supported by volunteers and is open to members during normal museum hours or by appointment. Special request times are available by making prior arrangements. To sign up for a session, (2-hour maximum, if people are waiting), or make a appointment, contact at White Pillars Museum at 920-336-3877 or email us. Help Add to the Collection! 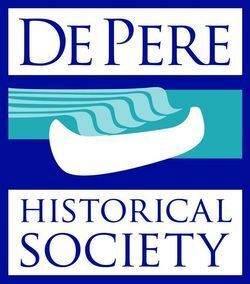 Below is a list of photos and items the De Pere Historical Society is in search of obtaining a scanned image or donated copy. If you have something listed below and would like to donate or share it, please contact White Pillars at 336-3877 or email us. If you are hesitant to donate an original photograph, consider allowing the Historical Society to scan the image and add it to the collection. With your help, and a little luck, the Historical Society will be able to secure a few photographs and will share them with you during the monthly Historic Photo Shows and future newsletters. Old photos of De Pere cemeteries and barbershops. De Pere Lumber & Fuel Co.
Family grocery & dry goods stores, prior to 1980. First telephone switchboard in De Pere. A copy of the Dutch newspaper De Gids published by former Mayor John Smith. Five generation photos, prior to 1950. German Episcopal church on the east side. Legion Hall on Michigan St.
Methodist Episcopal church on the east side. Old St. Boniface grade school before the addition. Original St. Joseph Church, before it burned in 1889. De Pere area business ledgers prior to 1930. Wedding photographs, prior to 1950. West De Pere Depot before 1913 when it was a wooden structure.